The thought of a computer cooking your meals may seem like something out of the Jetsons, but when it comes to kitchen technology, few ideas are more exciting than 3-D printed food. From intricately designed breakfasts to customized airplane food, check out all the ways 3-D printing may change the future of eating. A company called Structur3D Printing has invented an add-on that will fit almost any 3-D printer, and print almost whatever you want* made of Nutella, even your portrait. *Structural limitations of Nutella apply. If flight attendants could print a customized meal to a flyer’s specifications that would beat the heck out of those terrible little warmed up trays. That is the basis of a concept put together by a group of students in India. Passengers could order a wide variety of foods from a touch screen at their seat. They could be freshly made (or at least freshly printed) in the back—with no real need for additional staff. 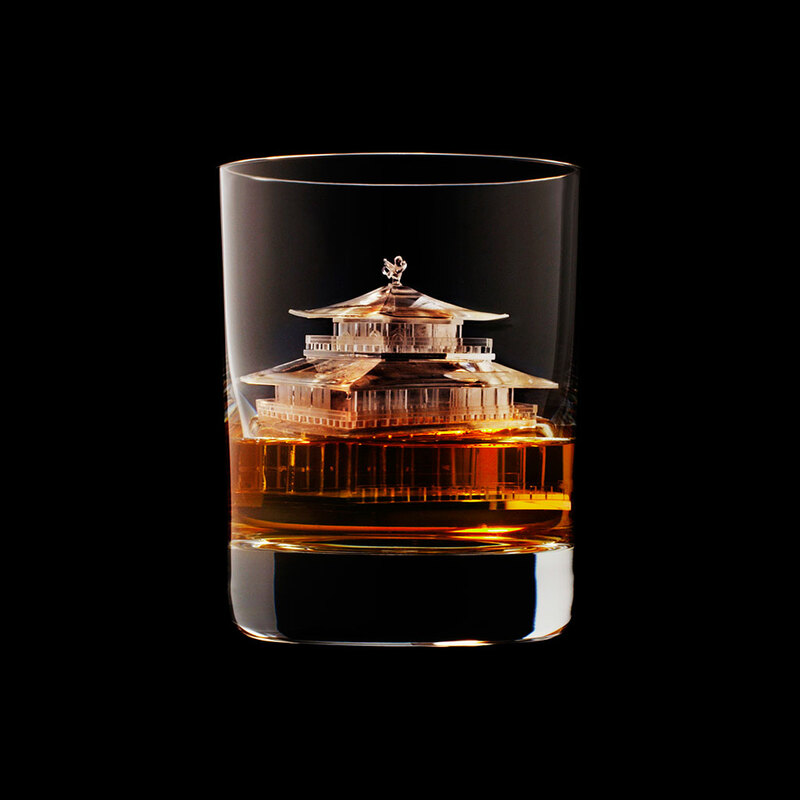 Using a reverse 3-D printing process often called 3-D subtraction, engineers working with Beam Suntory, the makers of the reigning World's Best Whiskey, created ice in the shapes of architectural landmarks, animals, astronauts and more. The Foodini hopes to be the future of 3-D food printing in commercial and home kitchens. Designed to allow cooks to tackle difficult culinary techniques people might otherwise not have the time or skill to execute, such as detailed cake decorations or filled pasta. Easy Cheese would seem the ideal candidate for 3-D printing - the consistency is certainly spot-on. But as this video shows, 3-D printing food doesn’t always go off without a hitch. Nothing says Easter like chocolate eggs. And nothing says "Creepy Easter" like a chocolate egg sculpted to look exactly like your face. In order to pull off the fully customized eggs, the mad scientists from Bompas and Parr, first scan your face and 3-D print it in nylon, which is then wrapped around a plastic mold. From there, they line the molds in chocolate and a few hours later a fully formed chocolate face is ready to terrify children everywhere. Dutch food engineer Chloé Rutzerveld uses 3-D printing technology to create a hard-to-explain snack called Edible Growth. She prints a flaky shell filled with agar—a flavorless gelatinous substance—which nourishes a mixture of seeds and spores. After just a couple of days, those seeds and spores sprout into greens and mushrooms. What you’re left with, really, is a perfect, tiny bite of fresh salad.